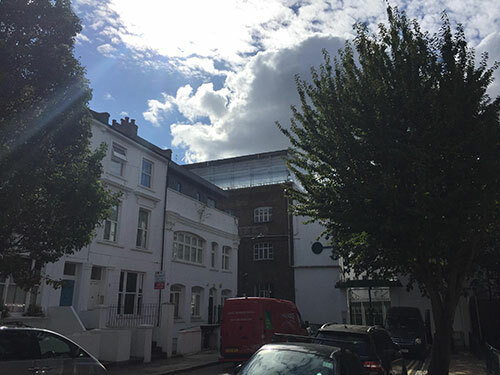 We are delighted that work has started on site for a new building on the roof at Woodstock Studios. 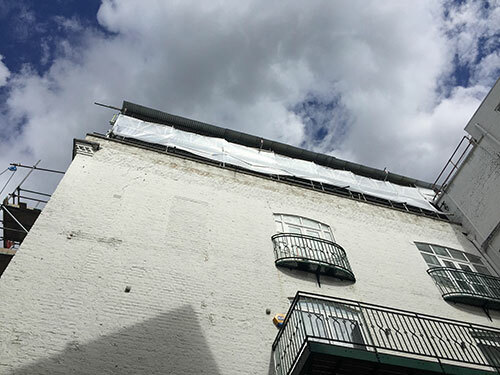 Woodstock studios was formerly the set building and engineering workshops for the neighbouring BBC and is now live work space used by painters, architects, musicians and photographers. 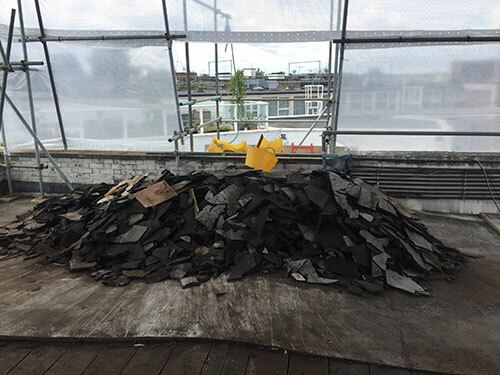 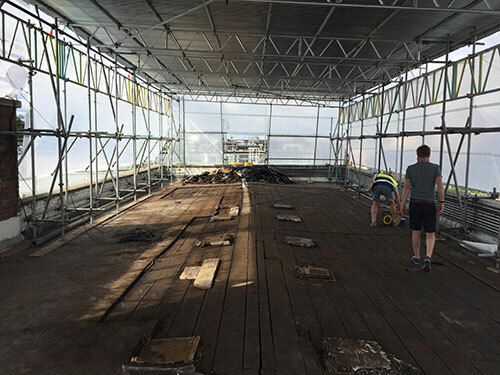 Over the last week the contractor has been undertaking site setup and stripping back the existing rooftop finishes. 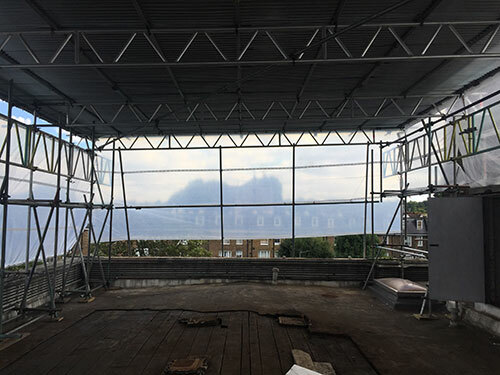 We are looking forward to seeing the roof structure exposed and the new steelwork being installed over the coming weeks.